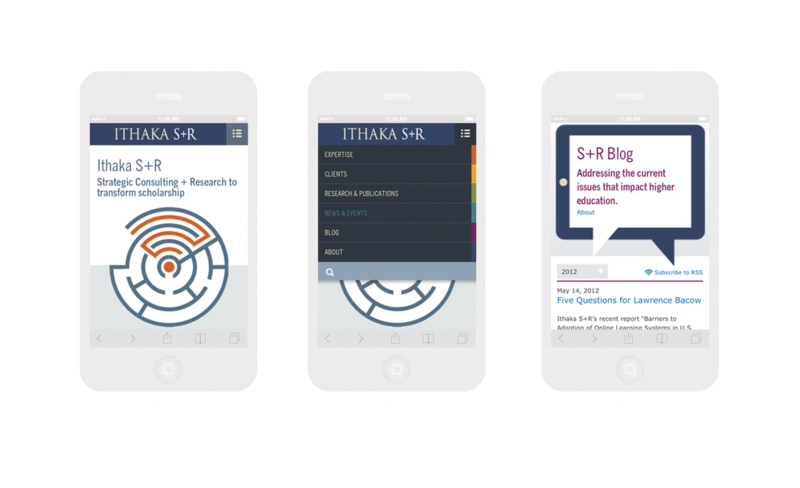 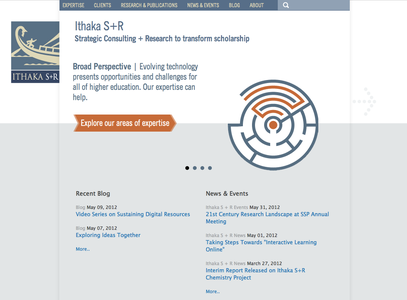 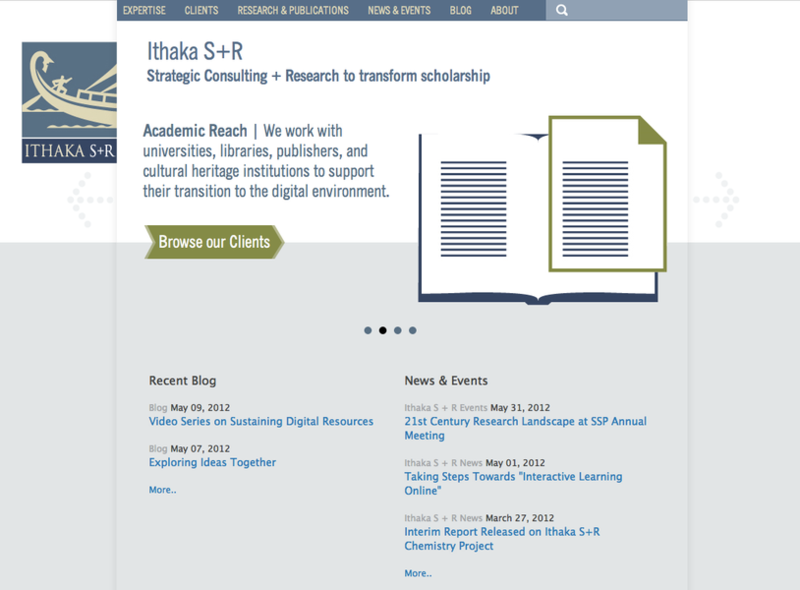 Ithaka S+R, one of the services offered under ITHAKA’s umbrella, had never had its own website separate from its parent until its recent launch. Through our redesign, we improved the architecture of the website to elevate this arm to its proper stature online. 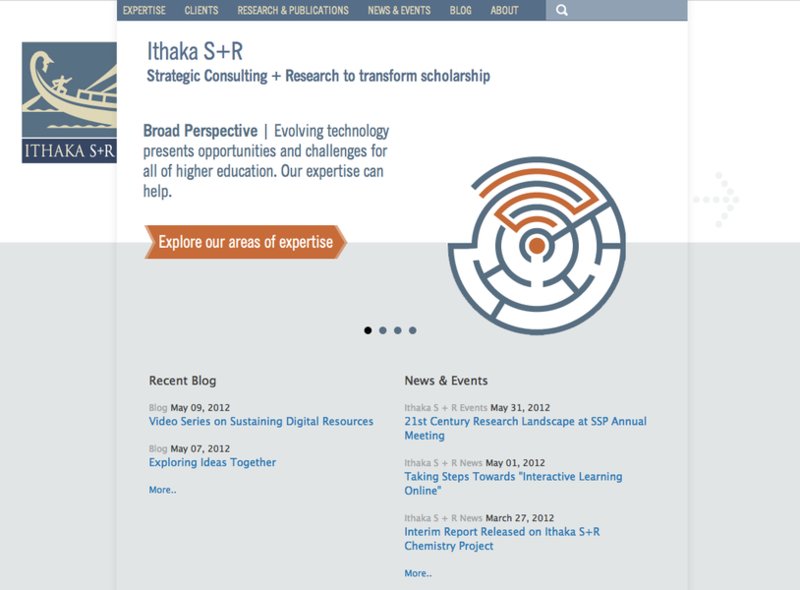 This restructuring clearly isolated the organization’s primary areas of expertise, and highlighted the output of its research work and strategic consulting that primarily resonate within the world of academia. 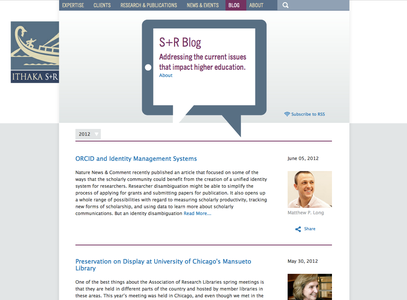 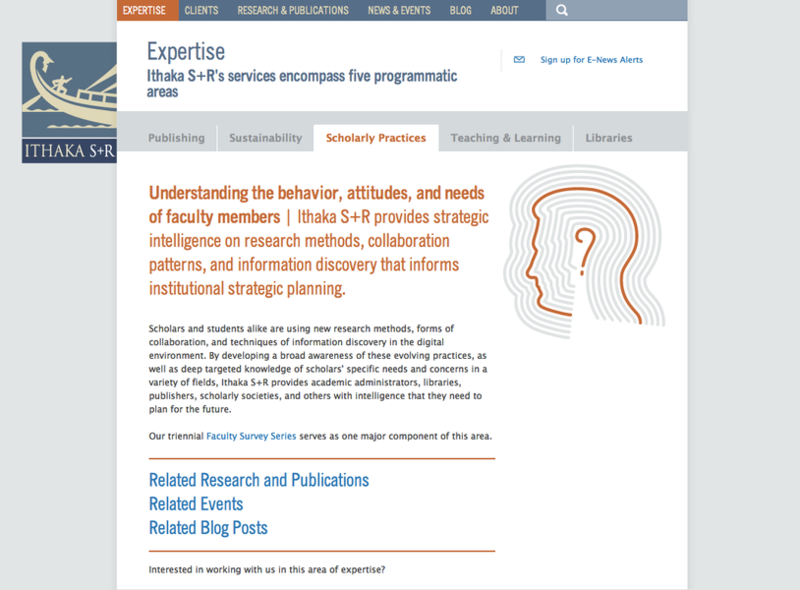 Robust project pages reflect both current and completed projects, segmenting the various key facets that compose each individual research assignment, including supportive media and downloads. 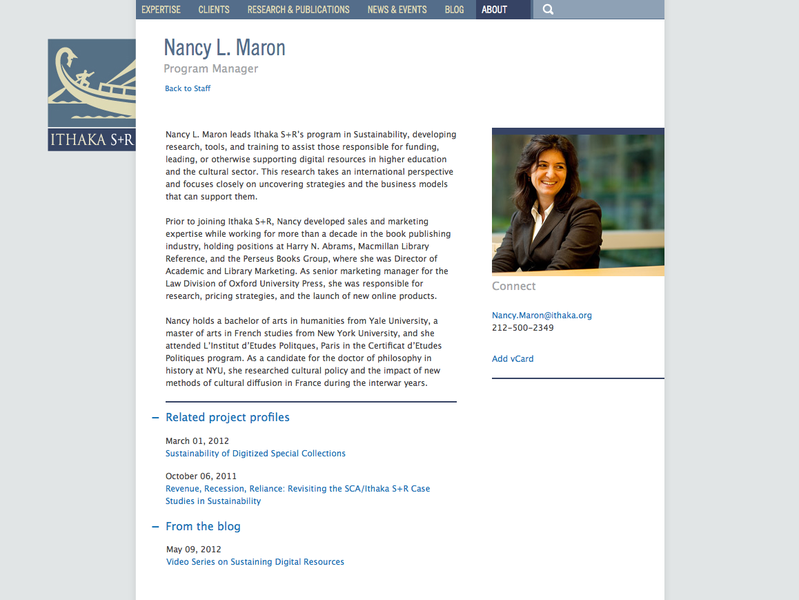 We also added a face to the organization by including bios of staff, cross-linking them to their research output, and allowing them a more casual platform with which to reach their constituents via a blog, news and events.